It’s been a little while since my last blog post, and I wanted to make sure that my favorite time of the year – Halloween Season – didn’t pass without putting something out there. So, what I’m going with is my taste in horror movies and where that taste may come from. I grew up in the ’80’s, so the focus here will be on the first horror flicks I can remember seeing and the effect they had on my scary movie proclivities. Let’s do this chronologically to give it some form of order. 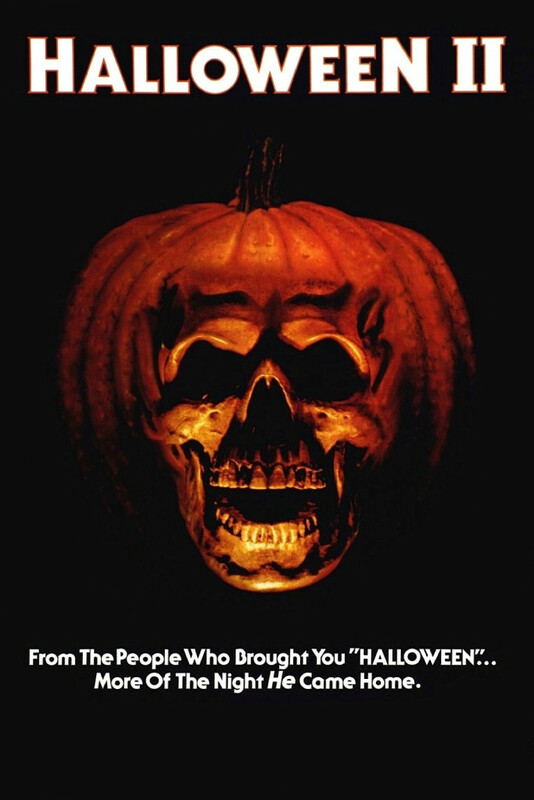 I was only 2 years old in 1981, so Halloween II had been out for a few years before I ever managed to see it. It still left an impression on me, as the location of a dark and mostly empty hospital still strikes me as one of the best locations for a scary story. And it was a simple enough story, Michael Myers was seeking to finish the job by killing his sister Laurie Strode (that she was his sister was only revealed in Part II and never mentioned in the first Halloween). At the same time, Dr. Loomis was hunting for his own answers about what made Michael Myers into what he had become. Admittedly, Halloween was a better movie that Halloween Part II, but I rather liked how Loomis’ and Laurie’s arcs finally tied together better in the sequel. 1985’s Fright Night was the first vampire movie that I remember watching. Living in the suburbs myself, I really dug how they turned all the things that make people who live in the ‘burbs feel safe dangerous. 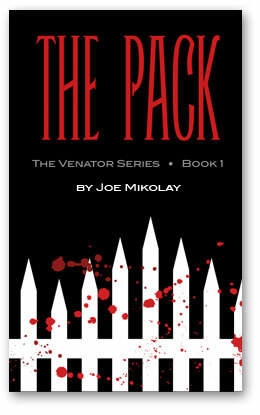 Because, if you can see a vampire taking a victim and he can see you watching him then there really is no safe haven. But it ultimately had to be high schooler Charlie Brewster who dragged actor-turned-vampire hunter Peter Vincent in the battle against the bloodthirsty Jerry Dandridge. 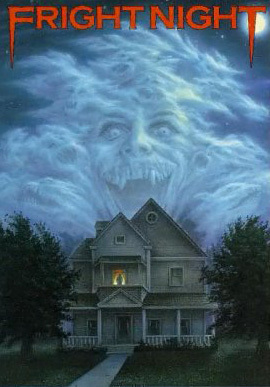 That Fright Night managed to inject a good bit of dark humor into the proceedings only made me connect with it more. As everyone knows by now, laughing and screaming are really just a short breath away from one another. The 2011 remake wasn’t too bad either. 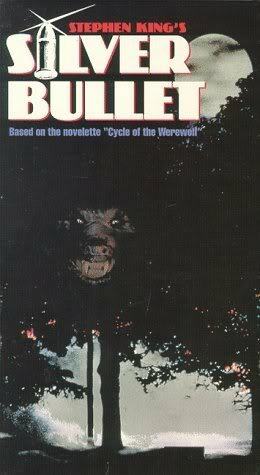 Silver Bullet, based on Stephen King’s novelette Cycle of the Werewolf, also came out in 1985. There would be several werewolf movies from around this era that would blow away this one in my mind eventually (An American Werewolf In London & The Howling), but I didn’t see them until I was into my teens. This one was similar to Fright Night in that it set the horror in a quiet little town that couldn’t possibly be equipped to deal with it, while one kid knew the truth but nobody believed him. Swap in a werewolf for a vampire and I’m good to go! Looking at the common bond between these first three movies – “Watch out suburbs, here come the monsters!” I probably was just really hoping for a creature to sweep into my hometown so I could get my hero on. 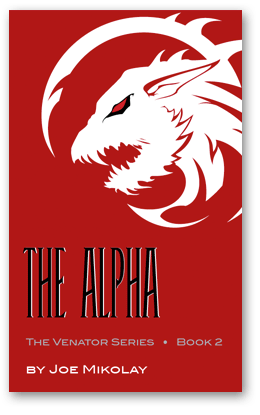 Of course, that would be after said creature took out some of the folks I was less fond of in my school. I, of course, would be ready to deal with the beast because…well, because I’d seen these movies after all. Moving away from the suburbs and into the summer camp, Friday The 13th Part VI: Jason Lives (1986) was the first of the franchise that I’d seen. Honestly, it still may be my favorite of the series. 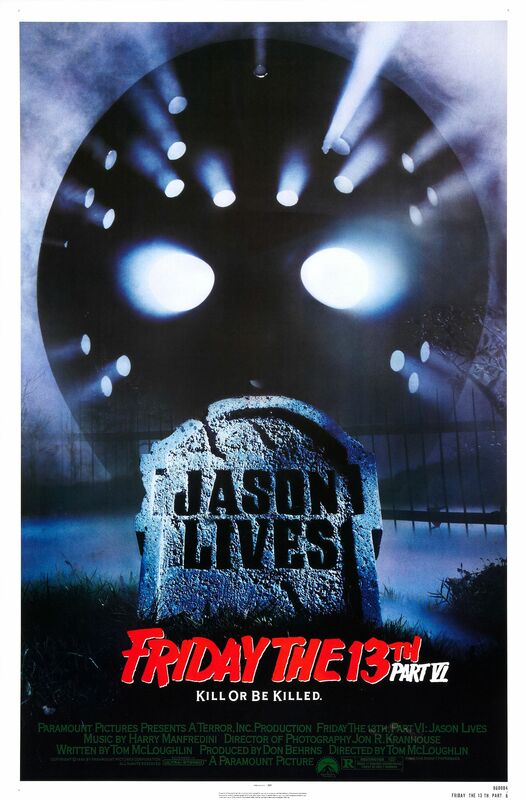 That it was the third film in the Tommy Jarvis Trilogy of Friday The 13th films helps to earn it that top spot. After confronting Jason Voorhees in the previous two Friday films (okay, technically it was only actually Jason in Part IV) he was finally a bit better prepared to fight back. I mean he was no Dr. Loomis, didn’t even have a Medical Degree, but he was the best protagonist that the Friday series ever rolled out. That Tommy and co-lead character Megan made up a poor man’s Kyle Reese & Sarah Conner combo only further endeared this film to me. The next pair of films are more action/sci-fi than horror, but they hit my sweet spot early on in life just the same. 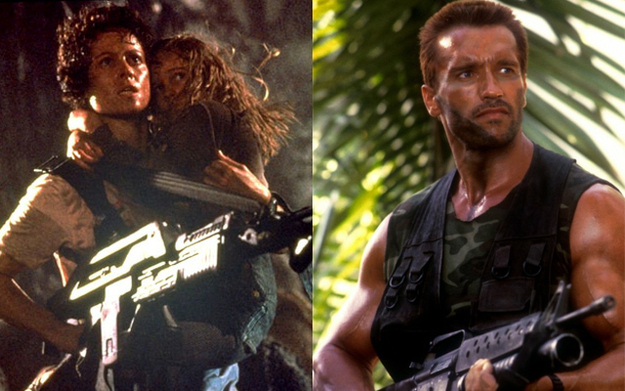 Aliens (1986) and Predator (1987) are two of the greatest genre films of all time, and there’s nothing I can say about them that you haven’t already read five times over. Other than, perhaps, the reason I was drawn to them. I liked how Sigourney Weaver’s Ellen Ripley and Arnold Scwarzenegger’s Dutch ended their respective films as equals to the monsters hunting them, and went into a final battle against them as such. In my opinion, nothing beats a good smackdown to end a movie on a high note. 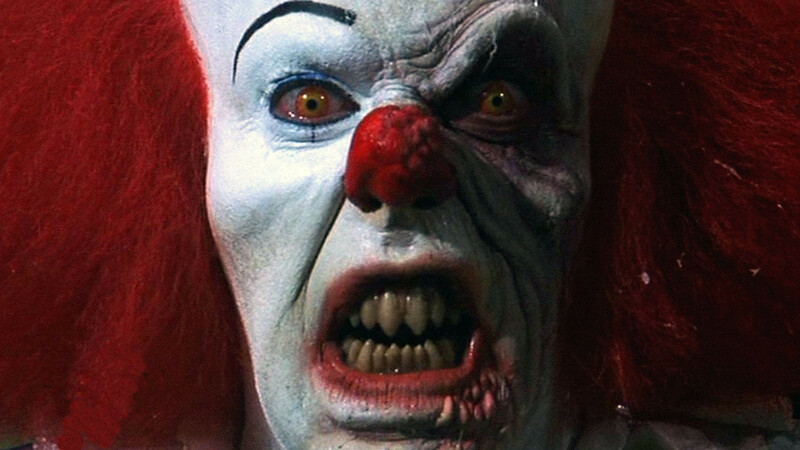 1990 saw the release of the mini-series adaptation of Stephen King’s IT, part one of which is still one of the greatest episodes of genre television of all time. I was about the same age as the protagonists trying to survive the terrors of Lovecraftian College of Clowning graduate Pennywise (Tim Curry adding another iconic character to his resume), and so when this one rolled around I was dragged along in its wake. At around that point, the flood gates opened and 11 or 12 year old me was about to discover a whole lot more horror in a very short period of time. Which makes this a good place to wrap things up. The one common strand of DNA that runs through every one of these stories is a theme that I look for in any other genre as well: the ability to fight back against the enemy. If I’m being honest, ghost stories creep me out more that monster mashes, because in many ghost stories there’s not much you can really do to battle the forces of darkness. I suppose I’m just not really drawn to tales of helplessness, and that’s something that applies to things I watch, things I read, and things that I write. which is also why I get very flustered about stories of how the little people cannot possibly win against the sinister and corrupt power elite of society. I may not be a super optimistic person, but I certainly respond more to optimism than to fatalism. 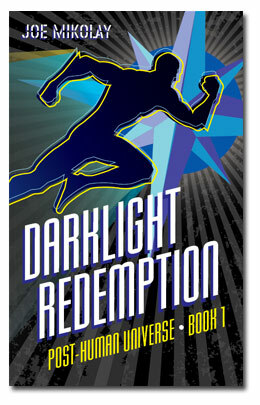 There’s more than enough of the bad guys winning in real life, I don’t need to see it in my fiction. I believe that everyone has free will, and can fight as long as they have the strength to. Sometimes you win, sometimes you lose, and sometimes you win but don’t survive to enjoy the victory. But, as long as you’ve saved the people you care about, then it’s a worthwhile sacrifice. If you can deliver something fantastical, and stick the landing on the message above, then take my money because I’m there! © 2010 - 2018 by Joe Mikolay. All rights reserved.